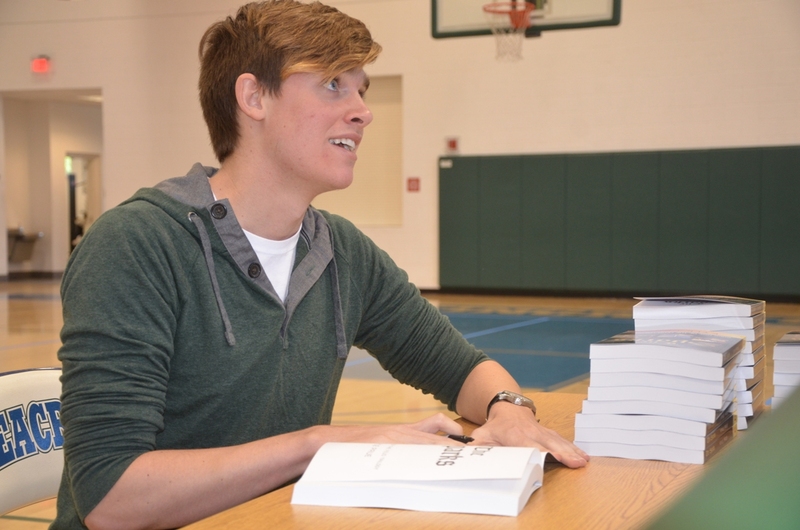 Inspiring teens to read, write, and follow their dreams. 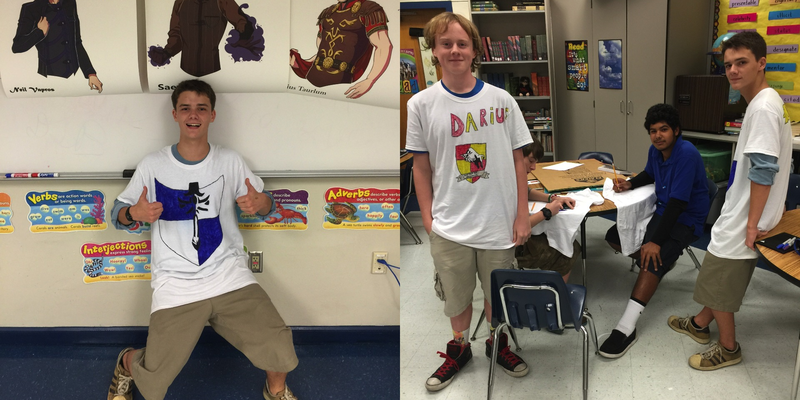 It started with 70 at-risk middle school students in Naples, Florida. 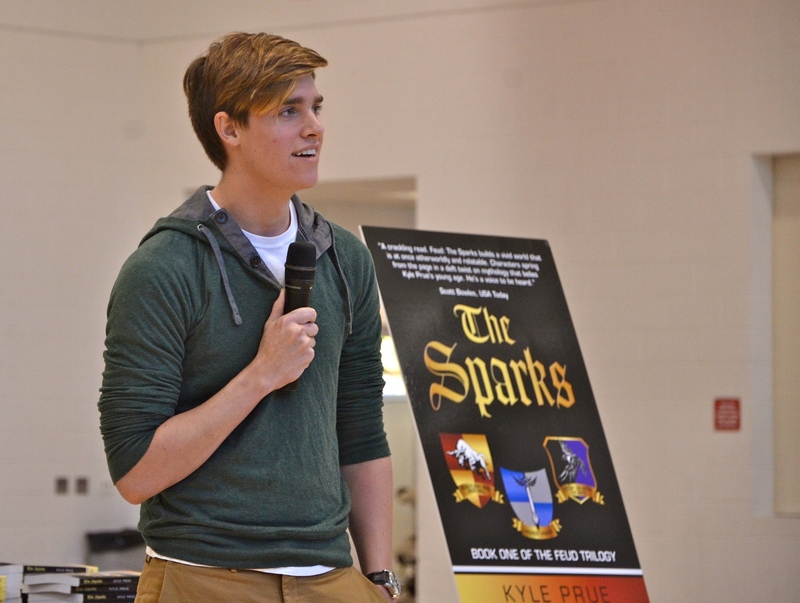 I was a high school senior and I had just published my young adult fantasy novel, The Sparks. A media specialist at a local middle school asked me to speak to three 90 minute classes of at risk students, many of whom spoke English as a second language. These teens were at risk of dropping out of school. Some were at risk of suicide. They were struggling readers, many had never read an entire novel. I was nervous but decided to give it a shot. Something powerful happens when teens are inspired by someone close to their own age. I spoke with them about some of my middle school experiences, about how writing was an escape for me, and about the inspiration for The Sparks. These struggling readers were suddenly so excited to read my book! Each child was given their own personalized copy of The Sparks. Having their own personalized copy turned out to be a key factor in what happened next. The media specialist started getting feedback from parents and teachers. These struggling, reluctant readers had devoured the book and many had read it multiple times. Some were now asking me to recommend other books and a few had even started writing their own books. Then I got a Huge Surprise—A Break Through!!! I dropped in on the classes unannounced and a group of boys had started a Sparks club and they were designing their own t-shirts of my book cover. They had even persuaded the art teacher to paint characters from The Sparks on the ceiling of the media center! That’s when realized I had the opportunity to truly make a difference. I decided to defer my admission to the University of Michigan so that I could spend the next year visiting middle and high school students around the country. I’m donating my time, but I need your help to donate books. Transformation like this only works if the kids get their own book at the event, when they are excited to read. Once they find they love the book, something shifts. A reader is born. And maybe even a writer. Or with luck, a dreamer. Because if I can follow my dreams, with your help, they can too.